Be The First to Review the Cypress Half Marathon! The Cypress Half Marathon is a Running race in Cypress, Texas consisting of a Half Marathon. 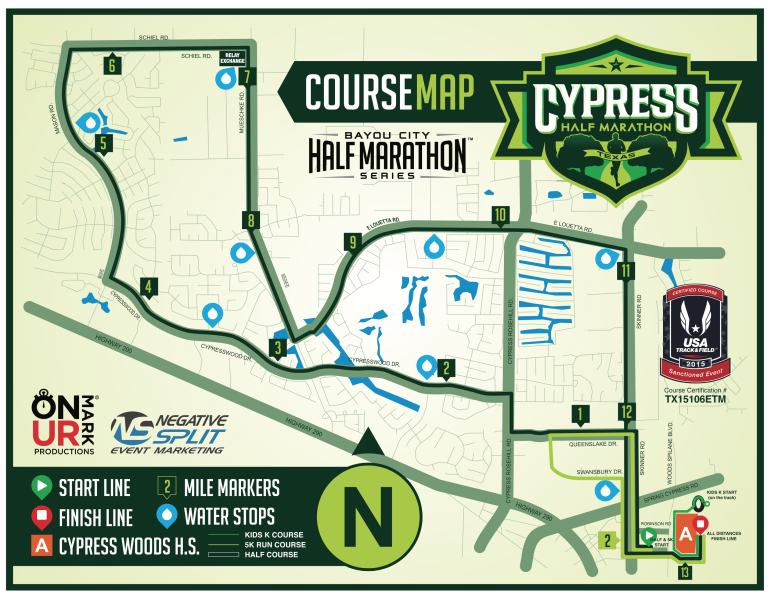 Welcome to the Cypress Marathon, the only half marathon race in the largest running community in the Houston Area and race #1 of 3 in the Bayou City Half Series. The race features a half marathon, half marathon relay, and a kids 1k so bring out the whole family for a day of fun. Half Marathon Finishers will receive a custom event finisher's backpack. www.bchalfseries.com	View Course Map	Incorrect Race Info/Update Race Details?